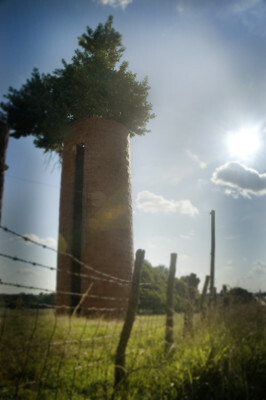 Another silo tree has been added to the Silo Trees of the U.S. listing. This one makes the Iowa tally up to two. 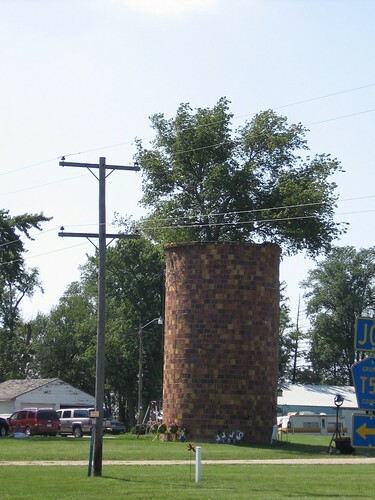 This silo tree was spotted during an annual bike race across the state of Iowa. It is between Dumont and Cedar Falls. Photograph courtesy of dazzled. 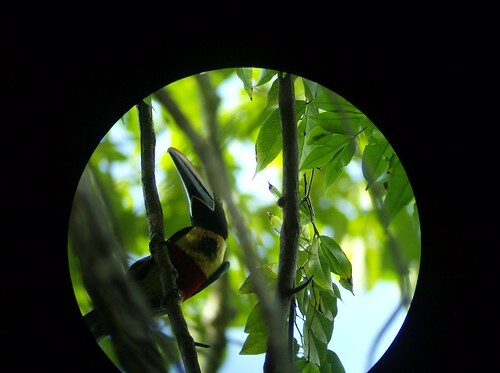 More photos can be found in the Trees in Silos Flickr group. 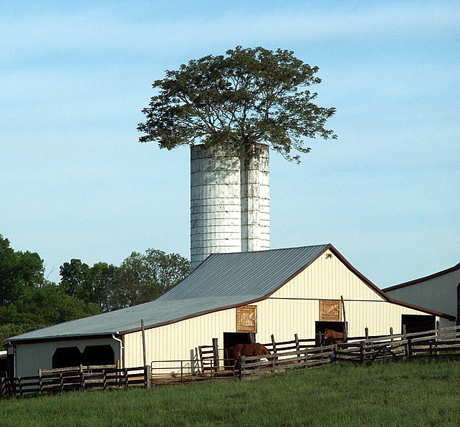 If you spot a silo tree you’d like to share, let me know! 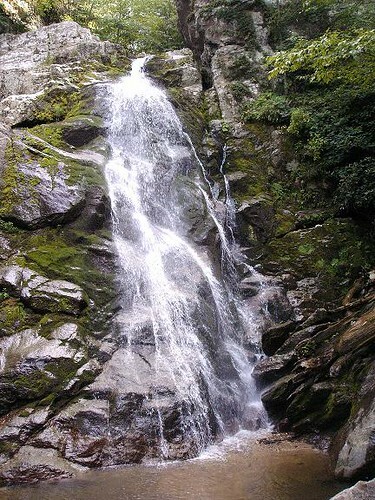 And in case you missed the Frozen Stiles Falls post from 2008, here is a summer version of the same waterfall. 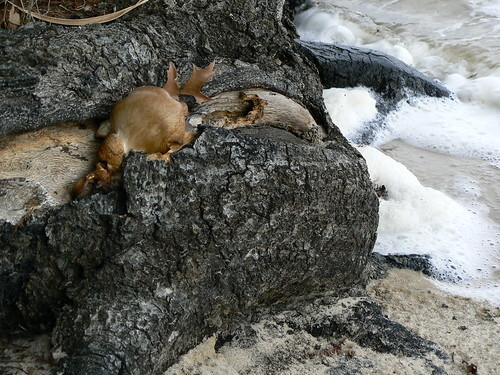 If you are in the mood for more shots of Southwest Virginia, be sure to check out Joseph168’s full PhotoStream. He has some spectacular shots of Blacksburg and the surrounding areas. One of the Silo Tree photographers, WV Fan, caught his tree in two different seasons. 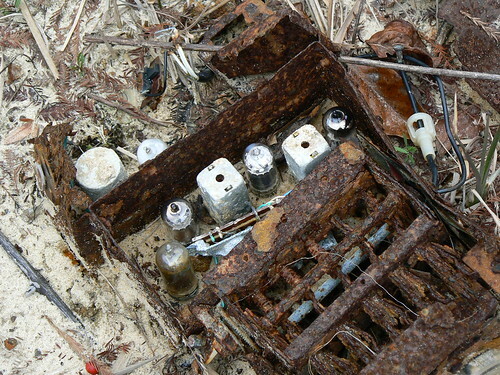 He granted me permission to share both photographs. So check it out– A Silo Tree Season Compare. Enjoy! More Silo Trees can be found on this blog or in the Trees in Silos Flickr group. 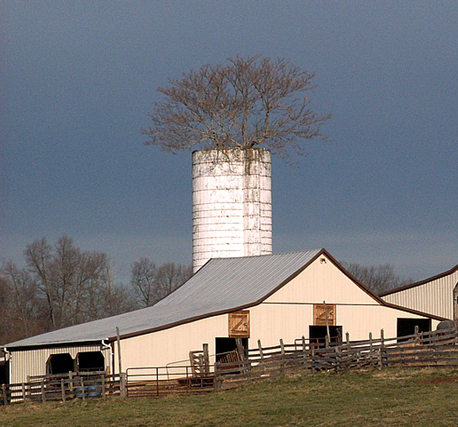 If you have a Silo Tree spotting or Season Compare of your own that you would like to share, let me know! The most heavily visited National Park, Great Smoky Mountains National Park, is celebrating its 75th Birthday this year. 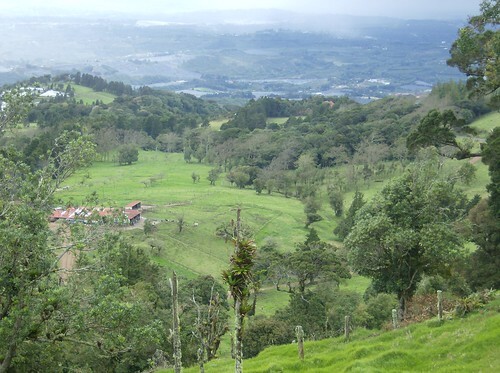 Numerous events, including hikes, are planned to commemorate the occasion. A dog house for the Obamas’ new dog. 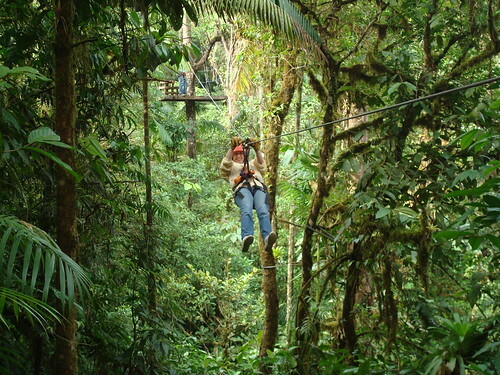 One of my dream vacations is Costa Rica. 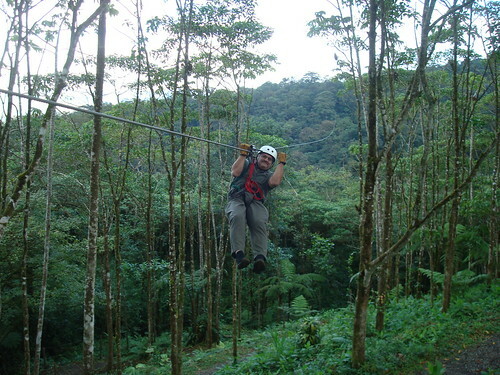 Beautiful lush mountains, plenty of hiking and the opportunity to zip line through the tree canopies! My Uncle Mark and Aunt Denise got to do just that in January. You only have to look through a few of their pictures and videos to see they had a phenomenal trip! Denise and Mark went on 12 jumps total, mostly 20 meters high in forest top. 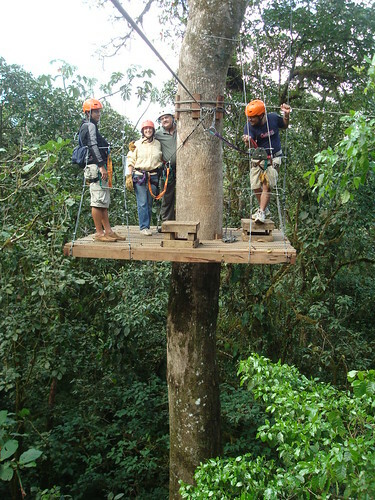 The highest outing was over over 100 meters high and 800 meters long over the forest valley. Mark and Denise’s trip has only further solidified my desire to go myself! 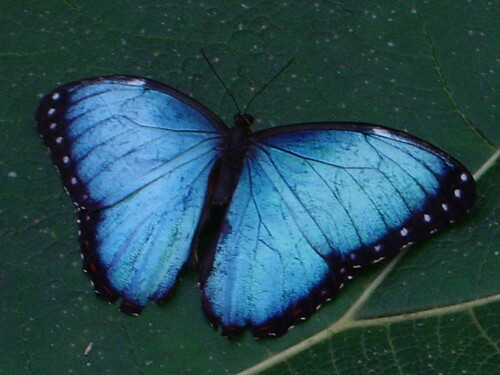 For more pictures of Denise and Mark’s Trip to Costa Rica, visit my Flickr site! 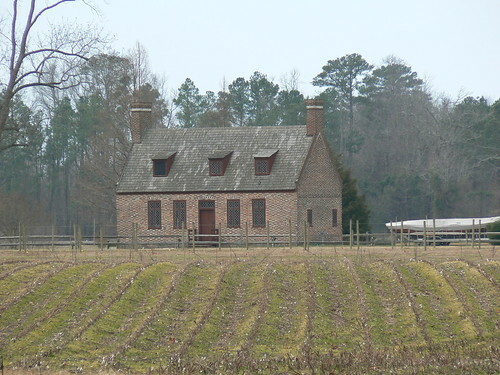 Nineteen miles southwest of Elizabeth City, the town of Hertford is home to the oldest brick house in North Carolina. It is known as the Newbold-White House and it was built in 1730 as part of a riverside plantation. Today the house is a museum, open March 1st through Thanksgiving, where visitors can partake in a 45 minute tour of the grounds. It wasn’t the historic building, however, which brought me there last January. Ryan Somma and I were looking for an afternoon outing with the dogs. 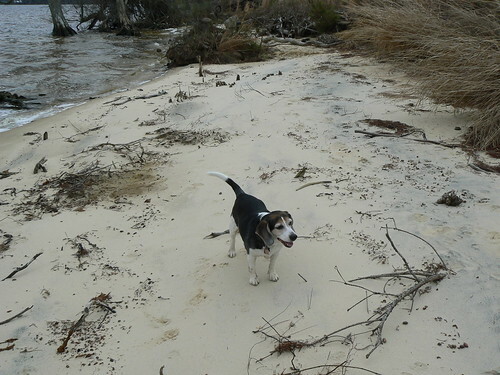 The Newbold-White House is set upon 143 acres and has its very own Recreation Trail to the Perquimans River and better yet– the trail is open year round. 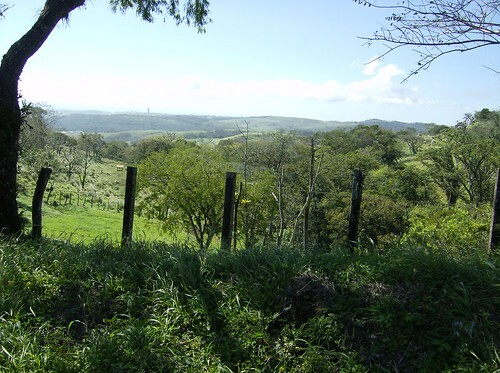 The Recreation Trail itself is straight forward– about a mile round-trip, flat and wide. 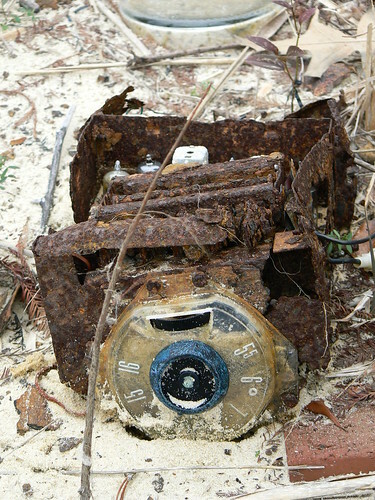 We did take the time to explore the shoreline, a nearby swamp, a nearby decaying tree and the surprising remains of an automobile in the sand. It was a humble outing, but an interesting and fulfilling one. 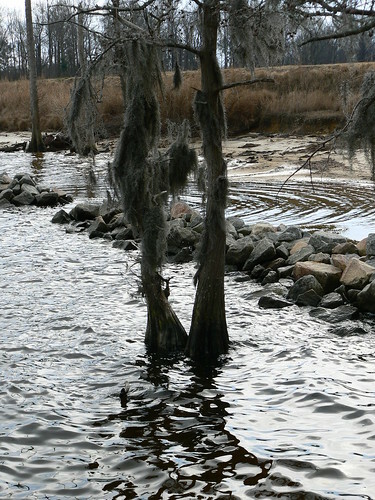 The trails starts views of the historic buildings and ends at the beautiful Perquimans River. 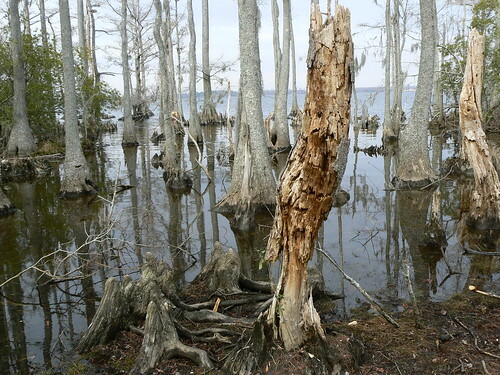 A nearby Bald Cypress Swamp adds to the scenery. 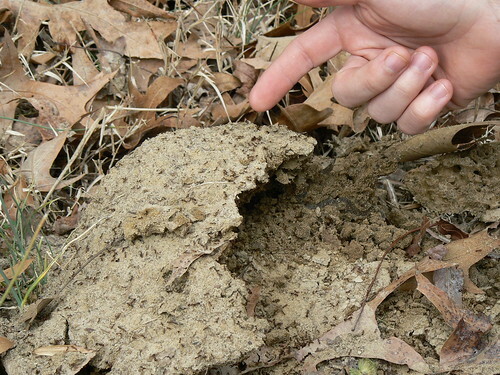 Along the way, Somma and I spied three separate fire ant nests. 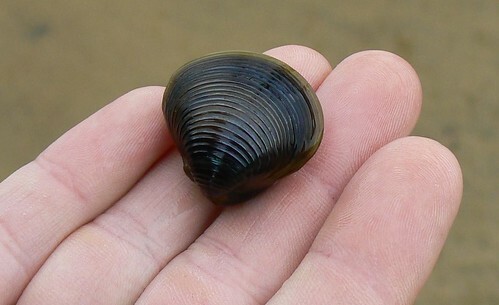 Hoards of mussels were present in the river and finally, there was evidence a raccoon(?) 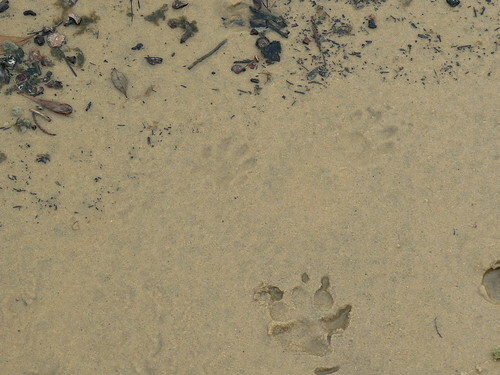 had visited the river recently– its footprints were still in the sand. 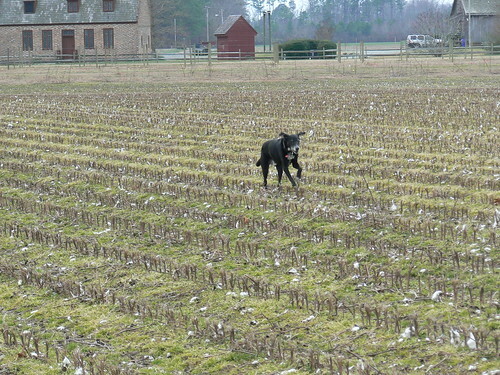 The trail passes through plantation lands, so you get to see an old cotton crop. I was surprised to see a yellow dandelion in full bloom in the middle of January. 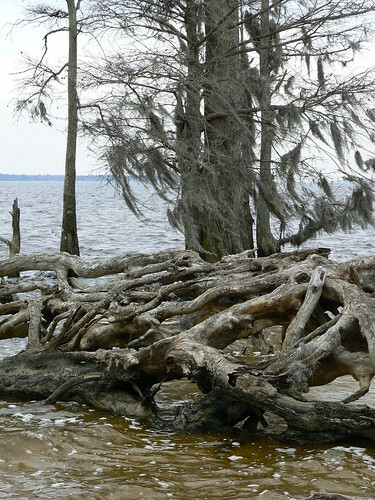 On the other hand, I wasn’t surprised to see the bald cypress trees, Spanish moss and mistletoe that are prevalent to the area. 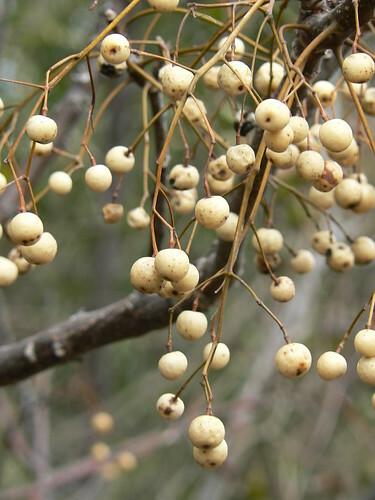 There were some great dried up yellow berries (anyone know what they are?). 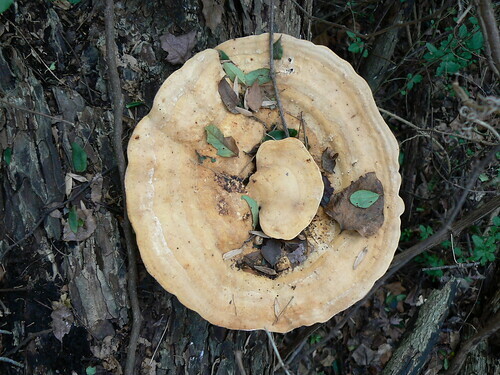 But it was the fungus that stole the show for me. 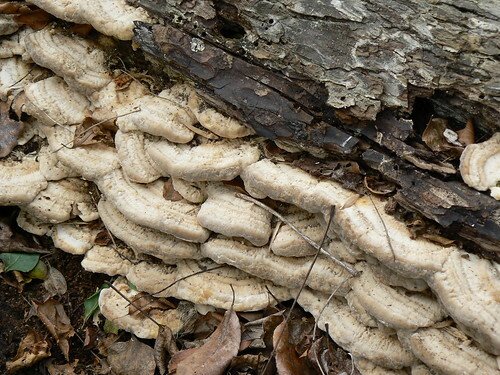 Lots and lots of fungus. 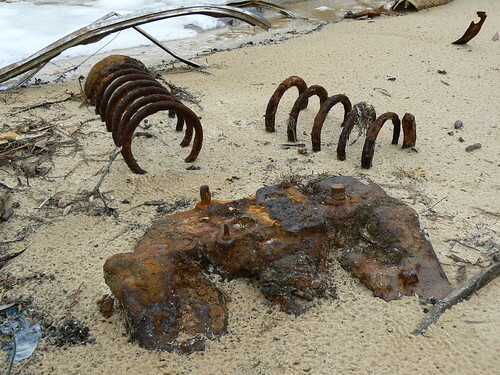 Right on the shoreline of the Perquimans River, slightly south of the dock, we found some old rusted parts in the sand. 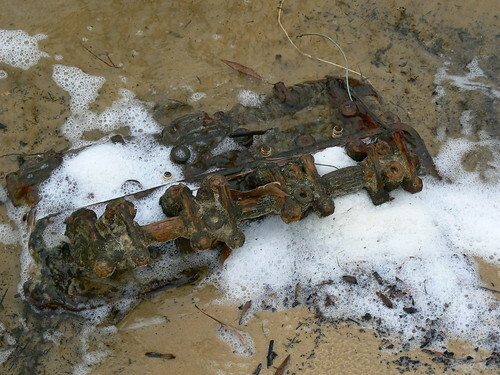 It turned out to be an old automobile being reclaimed by the elements. More information about the museum and its grounds can be found at the official Newbold-White House website. And as always, more pictures of our visit can be found on my Flickr site. Two new trees have been added to the Silo Trees of the U.S. listing. We also have a new state in the mix- Vermont! A silo tree in Lake Champlain’s North Hero Island, Vermont. 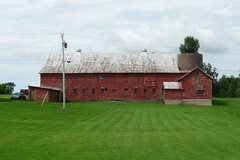 Photograph courtesy of bob.berch.